The relationship between a customer and a business is more like dating than a marriage. Do one thing to upset a customer and they will storm out and never come back, regardless of how many great years your business has been them. You may have read in some of my blogs in the past about walking the walk when it comes to advertising and how your competitors gain from your advertising. 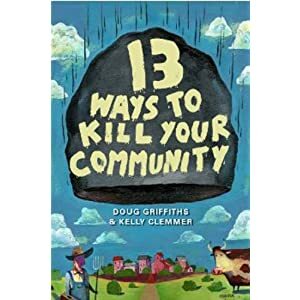 To further explore that idea, I'll start with a book I am reading called 13 Ways to Kill Your Community authored by Alberta MLA Doug Griffiths and newspaper writer Kelly Clemmer. In chapter two, the tongue in cheek approach is "Don't attract Business," which many would say of course a community needs to attract business. But how? What if the Mayor owns the only gas station in town and someone wants to put in a gas station? It is a real life case study that Griffiths talks about in the book. In touring the province we found that communities of about one thousand people in which there was one grocery store, that grocery store owner barely made enough money to support his or her family. However, in communities of roughly the same size where there were two grocery stores, interestingly enough, both did quite well. Likewise was the case in communities of three to five thousand when it came to restaurants. Where there were only a couple of restaurants both suffered, but where there were many restaurants they all seemed to do well. There are many more examples I could provide but space is limited. What is more important is why that would occur. And they like to feel they are purchasing in a competitive environment that assures them the best price. In communities where competition is limited we found that people would chose to drive to another community where there was more choice, more variety, and better prices because of competition. Essentially, their dollars would leave town. Interestingly enough, through my years as an advertising consultant, I have had a number of clients who have had an expectation that they would have exclusivity in their business category in our publications. It was never spoken of prior to placing ads, but when the time came when a competitor advertised with us, they took offense and pulled their ads from our publications. That is one way to kill a good ad campaign. So did the value of our publication to their ad campaign change? Did their competitive advantage over their competition change? Was their message any less effective with a competing business advertising near them? Simply put, the relationship, the marriage if you will, was lost because they had an unrealistic view that I was offering exclusivity. The relationship between a customer and a business is more like dating than a marriage. Do one thing to upset a customer and they will storm out and never come back, regardless of how many great years your business has been them. Those are the customers that are up for grabs in the competitive business of advertising. 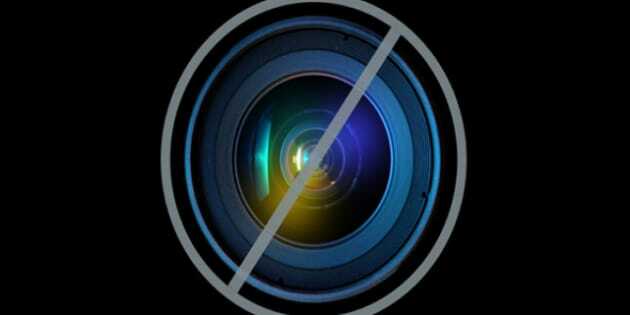 The free agents, the single, the recently dumped. Don't lose sight of that when you are putting together your ads. If your customers are not comparing you in our publication, they will compare you with ads in other media. Perhaps the worst is, they may not compare you with anyone at all. Remember what the book said "People in general like choice and variety." With that in mind, you should be placing ads in places where the competition is, or encourage your competition to place ads where you are. You are more likely to get the response you are hoping for and so will your competition. Until next time, I am Larry "The Ad Man."